Made with photo real print enhanced by hand art. The fabric is a super soft material and has inside Polyester cushion. This is a great gift for every dog lover. Buy them, gift them, keep them! Collect all the breeds! Superior short plush cover with safe producing process offers a soft touch and a healthy feel. 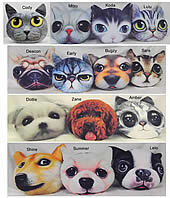 Cute 3D Stuffed Plush Dog and Cat Head Shape Pillows. Soft cushion to lean you head back on while sitting or napping in a chair or sofa. Toy play throw pillow and great for home decoration. Various usages such as; use as pillow, bolster for any body part, sofa/chair/back/seat cushion, sleeping, watching TV, in-bed reading, play toy/doll or back cushion white driving. Small pillows have a strap in back to fit your vehicle head rest. A suitable headrest comforts drivers and passengers, to get rid of fatigue, as well. 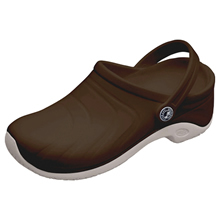 Made of twill cotton fabric, and soft cushion Polyester and it is more permeable to air. Hand wash with a sponge.